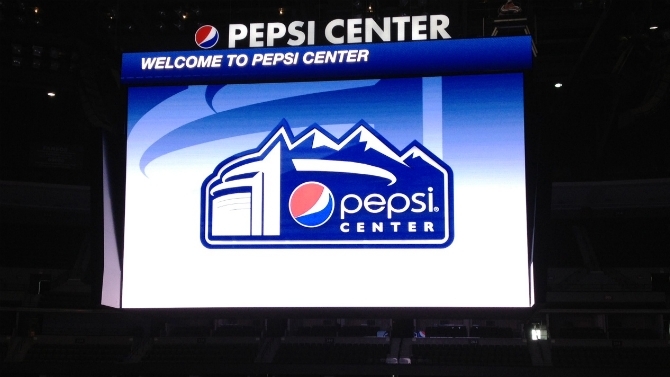 It was a blast from the past during an invite-only lunch Tuesday at the Pepsi Center when my Internet marketing guru and man about town Bradley Joseph accompanied me to the unveiling of the new Pepsi Vision scoreboard at (where else?) 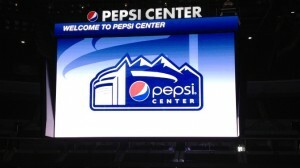 the Pepsi Center. Before the unveiling, a boffo buffet lunch was served and I had a deja vu moment walking down memory lane with Executive Vice President of Hockey Operations Joe Sakic and famed former goalie and new Avalanche Coach Patrick Roy. I covered those two during the hey days when I was working with my sidekick Dahlia Weinstein at The Rocky Mountain News. Those were the days, my friends, we thought they’d never end, but we were naïve. It was good to catch up with my former Avalanche heroes, and I had the chance to tell Roy that he was and is my son’s sports hero. * Built in Brookings, S.D. Ken Chin has been hired as the first executive director of the newly aligned Metro Denver Sports Commission (MDSC; now Denver Sports), which is now part of Visit Denver. Chin comes to Denver with nearly 20 years of experience in sports business marketing. Most recently, he served as vice president, business development and events, for the Atlanta Sports Council (ASC), the sports division of the Metro Atlanta Chamber. In that position, he was part of the senior team that launched the first Chick-fil-A Bowl Alma Mater, a made-for-television, celebrity-amateur golf event. Chin also played a leading event role with ESPN College GameDay’s first appearance at the inaugural Chick-fil-A Kickoff Game (Alabama vs. Clemson) in 2008. He oversaw production for the ASC’s Atlanta Sports Awards show from 2007-2013 and for the Naismith Awards hospitality events held in Atlanta during the 2013 NCAA Men’s Final Four. Chin said he was delighted to be joining a successful team in The Mile High City. “Denver already has an outstanding reputation as Sports City U.S.A. and does an outstanding job hosting world-class sporting events. I look forward to working with Mayor Hancock, the Denver Sports Advisory Board and the Visit Denver team, to help elevate Denver’s sports image and bring even more world-class sports events to this area. A reader’s option for a new Colorado logo. Lois Saul was the most recent winner in the subscription sweepstakes for two tickets to the “Clean Guys of Comedy” performance coming up. Thanks Lois, for subscribing, you rock. Pass it on for your peeps to subscribe to www.blacktie-colorado.com/pennyparker. We will be giving away many valuable prizes!